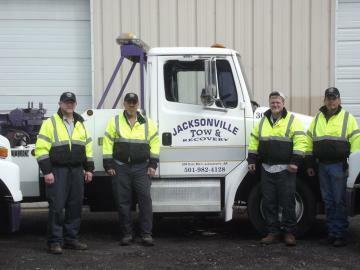 Established in 1962, Jacksonville Tow & Recovery has proudly been serving the towing needs for motorists in the Jacksonville, AR area as well as statewide. We pride ourselves on a strong work ethic and always put our clients first. Our experience easily qualifies us to meet your towing and recovery needs with care and the best in customer service. No matter what your make and model, we’ve got the proper know-how and equipment to successfully move it. We can also service your vehicle with the right electrical supplies or auto parts too.